I read Unbroken last year and liked it so much I emailed the author after finishing it because it was so well researched, written, and told. 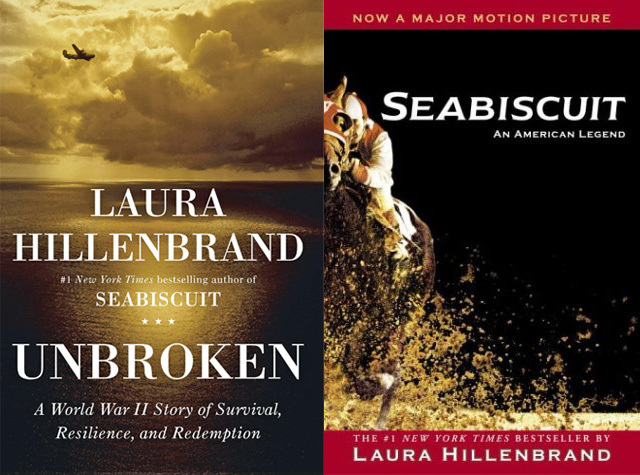 Yesterday I finished Seabiscuit, Hillenbrand’s first book. Despite seeing and really liking the movie first, reading the story allowed me to cheer for the Biscuit as if I were there. A lot of fun. 4 stars out of 5. Not quite as accomplished as Unbroken, which I give 4.5 stars out of 5. But certainly more “exciting” non-fiction with more endearing characters. Either way, both are wonderful.